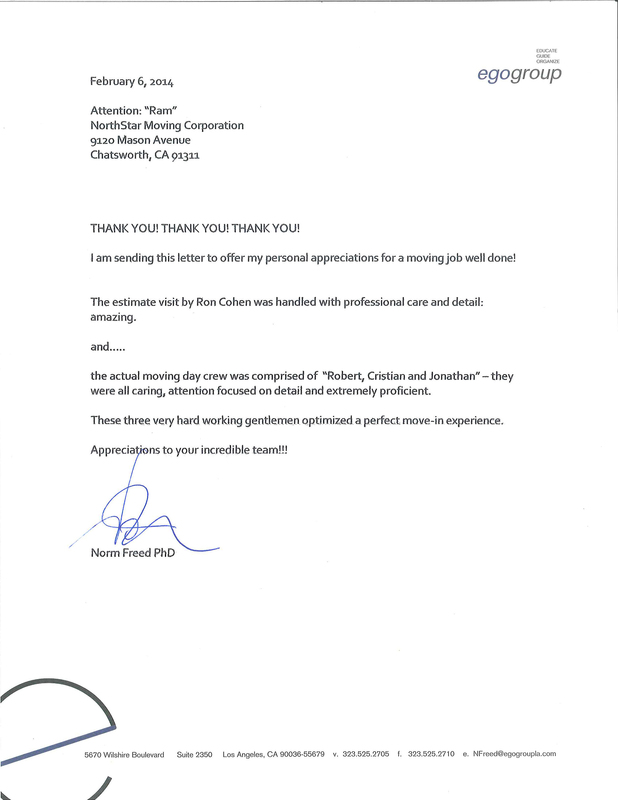 I am sending this letter to offer my personal appreciations for a moving job well done! the actual moving day crew was comprised of “Robert, Cristian and Jonathan”-they were all caring, attention focused on detail and extremely proficient. These three very hard working gentlemen optimized a perfect move-in experience. Appreciations to your incredible team!! !